Dr. Chris Myung is a graduate of University of Pennsylvania dental school, one of the best in the country. He has been a dentist for years and has been through several post graduate courses in different fields of dentistry since receiving his D.M.D. degree. His emphasis on patient comfort as well as keeping up-to-date with the latest advancements in dentistry enable him to provide his patients with the best quality of care in the field. Dr. Myung has a wide range of experience in different areas of dentistry, from cosmetic and restorative dentistry to surgical treatments and root canal treatments. Dr. Daniel Chung grew up in Glendale, Ca, graduating from Toll Jr. High and Hoover High School. He then went on to University of Southern California for undergraduate studies and graduated from prestigious University of Southern California School of Dentistry in 1992. 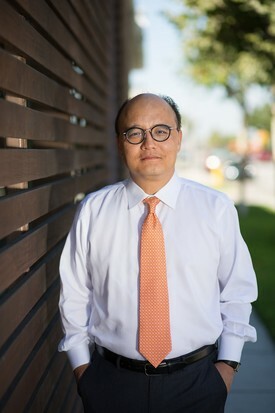 To stay on the cutting edge of dentistry, Dr. Chung continued his studies at the Dawson Center for Advanced Dental Studies in St. Petersburg, Fl, Seattle Institute of Advanced Dentistry in Seattle, Washington, UCLA Aesthtic Contiuum in Los Angeles, Ca, and Loma Linda Implant study Club at Loma Linda University in Loma Linda, Ca. Dr. Chung stays abreast of the lastest advances in the dentistry through memberships in American Dental Association, California Dental Association, San Fernando Valley Dental Society, American Academy of Cosmetic Dentistry, and International Congress Of Implantologists. Dr. Chung resides in Glendale with his family and enjoys playing golf when away from the office. Ji Y. Park, D.D.S., M.S. 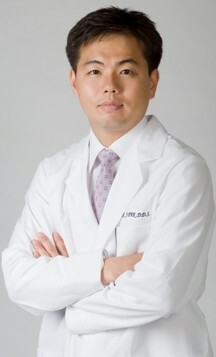 Dr. Ji Y. Park received her Doctor of Dental Surgery degree in 1996 from the University of Southern California School of Dentistry. She obtained a master’s in Craniofacial Biology and a certificate in orthodontics in 1999. Dr. Park has received several honorary awards for her work in the dental field, including a certificate of recognition for outstanding leadership and academic excellence from the American Association of Women Dentists. Dr. Park was elected as an OKU dental honors society member and awarded the Warner-Lambert dentistry scholarship. She is a member of the American Dental Association, American Association of Orthodontists, California Dental Association, California Association of Orthodontists, Pacific Coast Society of Orthodontists, Orange County Dental Society and the Academy of Orthodontic Excellence. 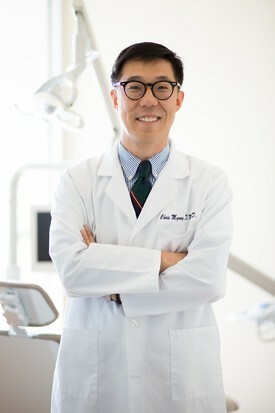 Dr. Park currently serves as vice president of the Korean American Dental Association. Dr. Mark J. Pak earned his B.S. in Biochemistry at UCLA and D.D.S. degree at University of Southern California, School of Dentistry. Then, he finished Advanced Periodontics at University of Southern California, one of two American Dental Association-accredited programs specializing in dental implants/surgeries. Currently, he is a clinical assistant professor in Advanced Periodontics at USC, School of dentistry and is a member of the American Academy of Periodontology, the Academy of Osseointegration and the California Society of Periodontists.